Derived from the passion for the WordPress foundation with a twist of code and bit of undesign touch, Wall Classic aims to be the epicenter for WordPress theming. With this secret weapon, you now are fully capable to start building up your own WordPress wall in no time (we said so, and we meant it). Wall Classic supports 7 layouts for responsive design: HD-layout, Extra-wide, Wide, Normal, Tablet, Mobile Landscape and Mobile Portrait. Coming with WordPress 3.4 you are able to tweak your WordPress themes with the Customizer. Wall Classic supports the fresh new Customizer! Let’s see what you can do with it. 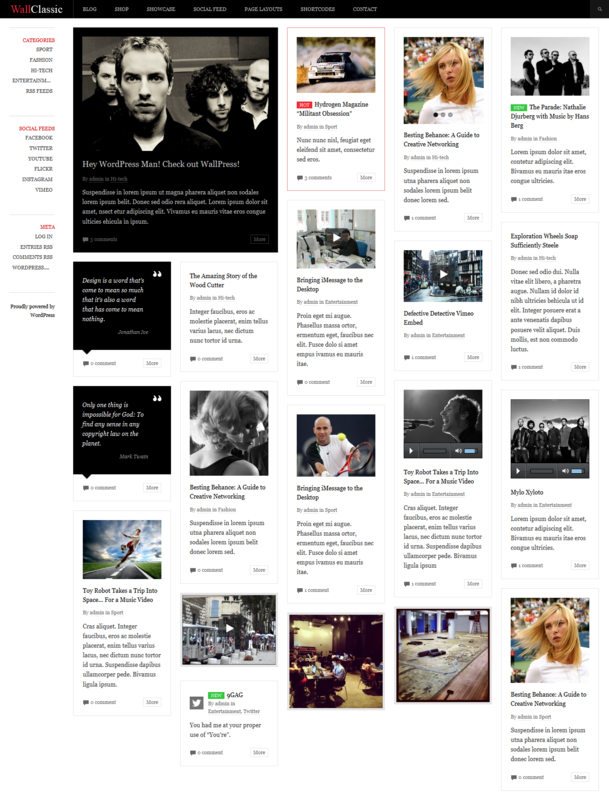 Wall Classic uses the DW Social Feed plug-in which allows users to get content automatically from Social media sites including: Facebook, Twitter, Youtube, Instagram, Vimeo, Flickr and RSS feeds. 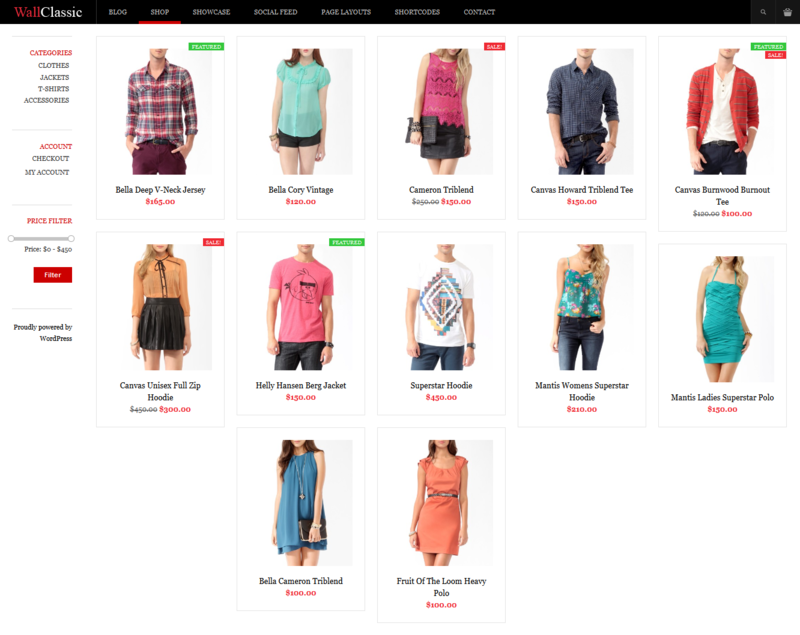 Jigoshop is a third party WordPress Ecommerce plugin. It’s ready for your shop. Shortcodes allows you to add quick and easy custom code into your content. We have developed the DW Shortcodes Bootstrap plugin which can be used in posts, pages and even widgets.